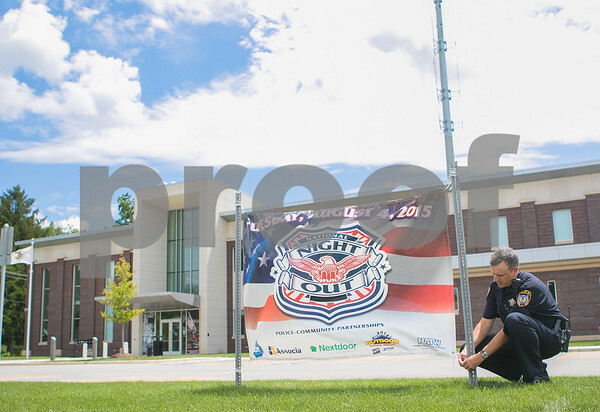 DeKalb Police Community Relations Officer Chad McNett secures a sign for the DeKalb County National Night Out, on Aug. 4, in front of the DeKalb police station on Lincoln Highway in DeKalb on Monday, July 20, 2015. The National Night Out event will be Tuesday evening, Aug. 4, in the Target parking lot. It's a national campaign hosted locally with joint efforts by law enforcement to prevent crime.